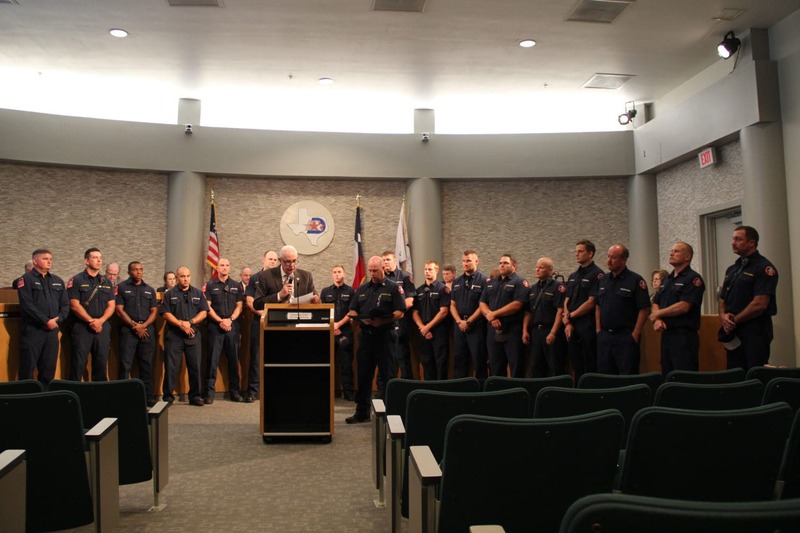 Members of the Duncanville Fire Department attended the Duncanville City Council meeting May 16 to hear Mayor David Green proclaim the week of May 21-27 as Emergency Medical Services Week. May 24 was proclaimed as Emergency Medical Services of Children Day. Several awards and positive recognition have recently come to the Duncanville Fire Department, including the $128,746 FEMA grant just announced by U. S. Congresswoman Eddie Bernice Johnson. The Assistance to Firefighters Grant funding from the U. S. Department of Homeland Security’s Federal Emergency Management Agency (FEMA) will provide funds to improve the city’s response capabilities. Mike Ryan, EMS Division Chief for Duncanville Fire Department, said the funds will be used to purchase four Lucas devices to be used on their fire trucks. The Lucas chest compression system machines perform automatic CPR with greater suction and much better results, pulling blood to the heart faster than possible for anyone performing manual CPR on a heart attack victim. Ryan said the grant will also be used for two additional cardiac monitors (Life Pak 15), making a total of four for the department. 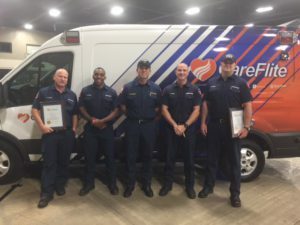 Ryan said five paramedics from his department were recognized May 21 with plaques during a CareFlite award ceremony for First Responders at Arlington Conference Center. They were honored for reviving a teenaged boy who was pronounced dead last August after collapsing at basketball practice at a local stadium. Ryan said the boy and his mother recently stopped by the Fire Department to thank them, and the boy is doing fine. Ryan said that Martin Garcia and Steven Pogue of the EMS Division recently graduated from an Advanced Paramedic course. This course teaches community involvement for paramedics, where they learn how to help people with other problems besides the immediate emergency. These might include how to get Medicare or Medicaid, or sign up for Meals on Wheels or other programs. The Duncanville Fire Department was also named a Mission: Lifeline® Emergency Medical System (EMS) Recognition recipient. The department was honored with a Bronze Award by the American Heart Association on May 15. The Mission: Lifeline® EMS Recognition acknowledges the work, training and commitment of EMS agencies and Medical First Responders to ensure rapid treatment for ST Elevation Myocardial Infarction (STEMI) patients by directly influencing the STEMI system of care.